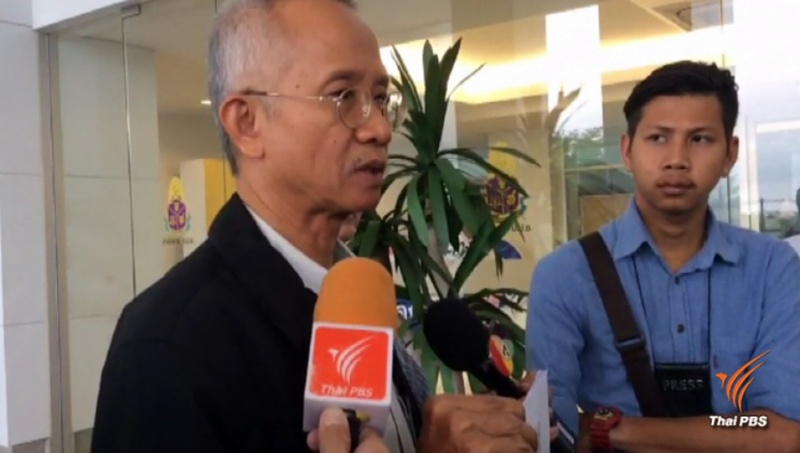 Political activist Veera Somkwamkid was today given a 16- month suspended jail term and ordered to do social work for one year after he was found guilty by the Criminal Court of defaming Pol Gen Srivara Rangsibrahmanakul, the national deputy police chief. He was also fined one million baht plus interest thereon for the same offence. Srivara lodged a complaint with the Crime Suppression Division accusing Veera of violating the technology crime law after he lodged a complaint with the national police chief, Pol Gen Chakthip Chaijinda, accusing Srivara of illegally filling up and making a weir on a public water way in Pak Chong district of Nakhon Ratchasima. Speaking through his Facebook page, Veera said he would fight his appeal against the verdict and would fight on until the Supreme Court. He said he would fight on to protect public interest and fight against injustice. “I have gone through many harsh experiences that I won’t feel worried.